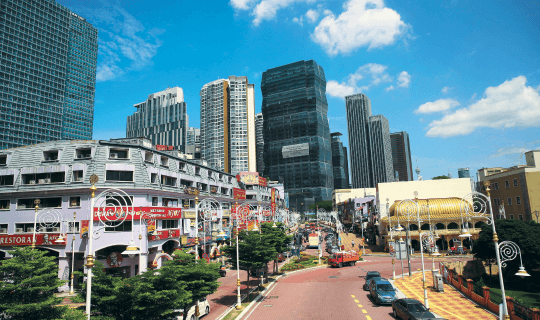 AS KL Sentral nears completion, more expatriates have moved into Brickfields, which, not surprisingly, has led to higher rents. The residential market in the area, according to Siders, is geared towards tenants as owners take advantage of the accommodation needs of expatriates. CBRE associate director Nabeel Hussain concurs, opining that the market is more investment-driven because of the noise pollution and traffic congestion in the area. He says the rental market has always seen stable demand, adding that while the older condominiums are mostly owner-occupied, the newer residential developments are mainly held for investment. Condominiums within KL Sentral are commanding rents of between RM3 and RM4 psf compared with the average RM2.30 to RM2.60 psf in the rest of Brickfields, notes Siders. 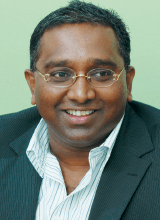 Four to five years ago, rents averaged between RM1,300 and RM1,800 per month but today, they are between RM2,000 and RM4,000 with an average yield of 5% to 6%, says Previndran. Condominiums built prior to KL Sentral were sold at between RM350 and RM450 psf in 2011. By last year, however, prices had climbed to RM450 to RM550 psf, says Siders. The newer condominiums in Brickfields are priced at RM550 to RM650 psf on the secondary market while the ones in KL Sentral are sold at about RM700 to RM1,000 psf, he adds. The older condominiums in Brickfields include Villa Scott in Jalan Tebing, Scott Sentral in Jalan Scott, The Pines in Jalan Sultan Abdul Samad, Sri Impian in Jalan Ang Seng, Palm Court in Jalan Berhala, Menara Puteri in Jalan Thamby Abdullah, Menara Pelangi in Lorong Ang Seng, Cuepacs Apartment in Jalan Thamby Abdullah, Crescent Court in Lengkok Tun Sambanthan and Sri Kota in Jalan Thamby Abdullah. According to Previndran, newer residential developments in Brickfields, such as 633 Residency (by YNH Property Sdn Bhd) in Jalan Tebing and Residency Mutiara (by Mutiara Johan Group) in Jalan Ang Seng, are currently going for RM650 to RM750 psf and RM700 to RM800 psf respectively on the secondary market. The former was completed in 2009 and sold at RM450 psf at its launch while the latter was completed in 2011 and priced at RM445 psf at its launch. Peh says the value of residential properties in Brickfields has risen about 40% in the last five years. She estimates the selling price of new residential developments, such as The Establishment (by Keystone Land Developments Sdn Bhd), The Sentral Residences (by MRCB and Quill Group) and St Regis Residences (by MRCB and CMY Capital Group), to be around RM1,100 psf. Meanwhile, Previndran observes that the residential market in Brickfields will continue to perform well in terms of value and rents.